so after my last brz got totaled, i got another one..
so i don't normally name cars, but i thought this one needed a name, due in part to the situation that i got it under..
"chance" for this car being my 2nd chance, and "goldfish" because it's a copycat replacement.. like when that goldfish in grade school "rested" upside-down for one day, and then started swimming the next day just fine!... at least according to the teacher..
the same modification list still applies, i'm just restarting what i had already started..
fwd burnouts are kinda like wheelchair tricks to me... sure it's neat and all, but it's still operating with a handicap.. so yes, "look one-leg-dan is doing wheelies!!" sounds the same in my head as "watch this honda do a burnout!!" yeah.. i mentioned it all in the chat thread, but i'll put it here too. 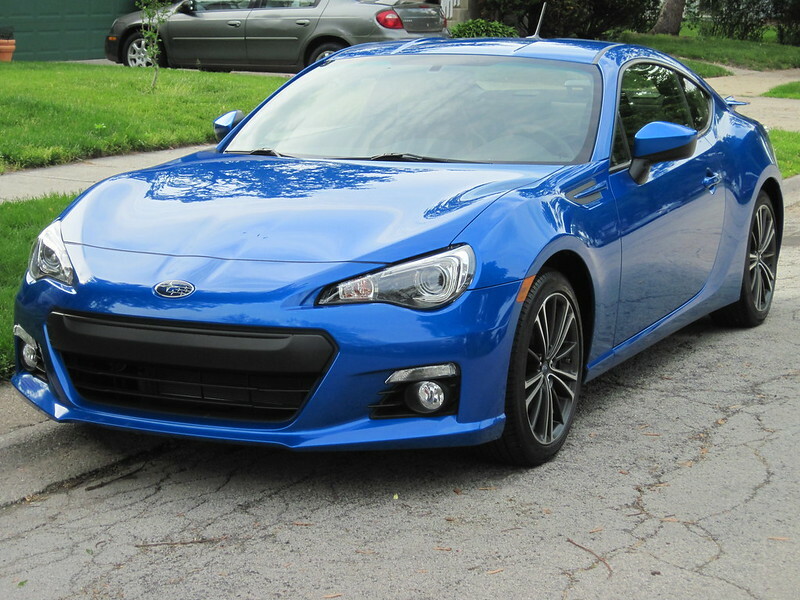 the same dealership happened to have received a new blue brz since i bought mine, so i bought the same car from the same dealer, even through the same salesperson.. no better deal, but i skipped the extended warranty, so i should be getting some money back from that..
i'm still not out of the woods yet.. i'm out $6k from all of it, so i need to talk to a lawyer to see if it's worth pursuing state farm for compensation for that... but it's kind of a relief to be mostly back to where i was before.. I'm slowing down at nearly every intersection now..
Oh dear. Maybe I should hide my blue car now. Wow.. maybe i should just star calling it 'curse of the blue cars'.... i'm starting to think they have it out for themselves..
Glad to see you are back in the saddle with a replacement. And now we are all dying to know whats up with Gold's comment on wrecking the car. How does it feel to have a completely new car but yet feel so familiar like it's not the first time you've owned it?